This luxurious minimalistic padded card is made from a matte finish khaki coloured shimmer board and has the entire front face embossed with traditional floral damask print in pearlescent gold. 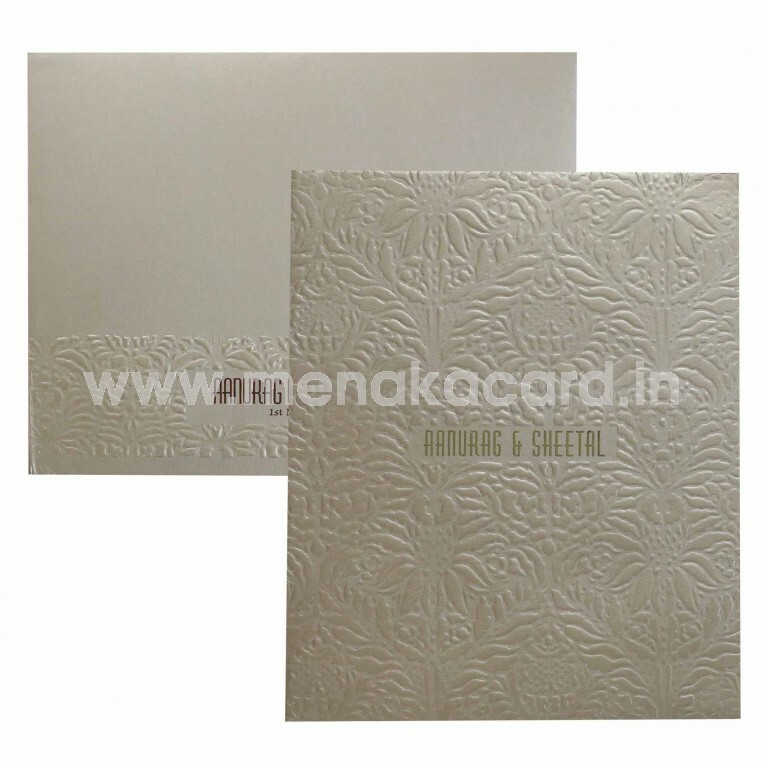 The names of the couple sit in the centre of the card in a modern minimal font, made from a rich gold foil sticker. 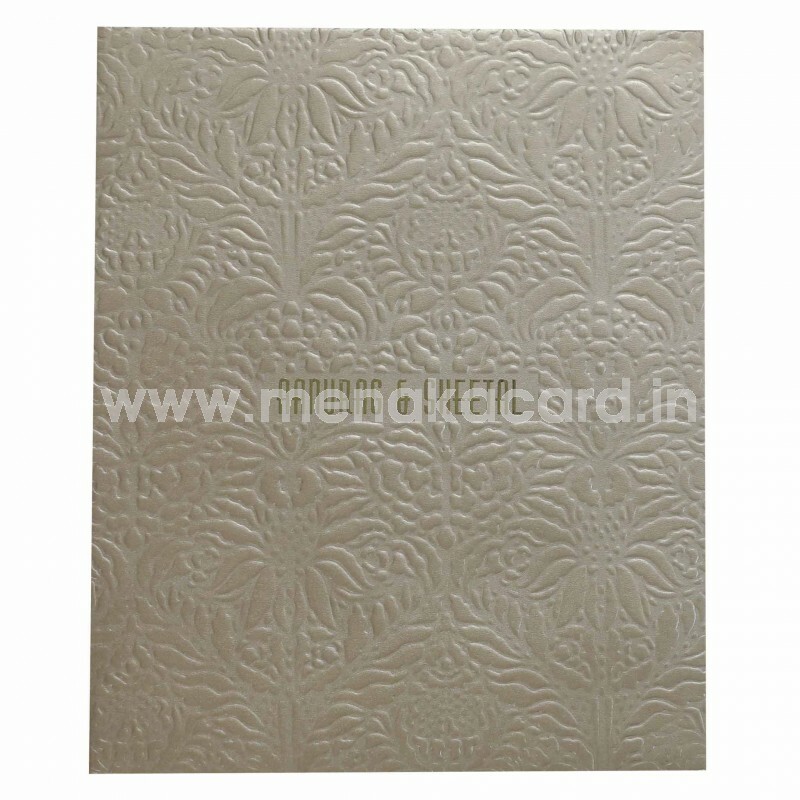 The 2 default inserts sit in an embossed floral flap made from a plain matte finish artboard material, printed with contrasting text. 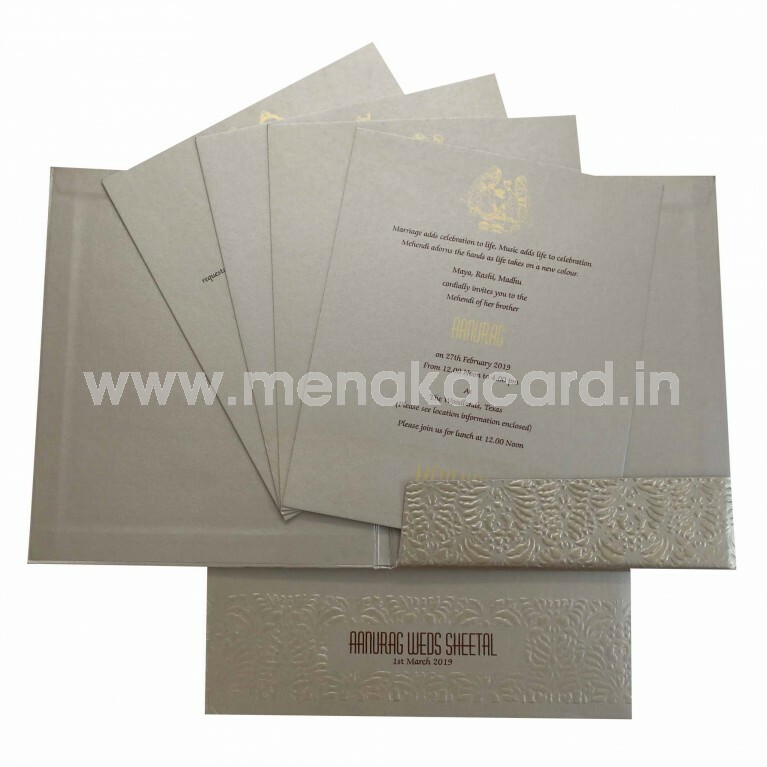 This can be used for Christian, Muslim, Hindu and Multi-faith weddings as well as personal invitations to friends and colleagues.